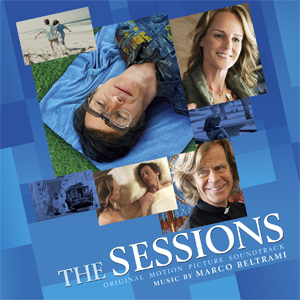 Based on the poignantly optimistic autobiographical writings of California–based journalist and poet Mark O’Brien (John Hawkes), THE SESSIONS tells the story of a man who lived most of his life in an iron lung who is determined - at age 38 - to lose his virginity. With the help of his therapist (Helen Hunt) and the guidance of his priest (William H. Macy), he sets out to make his dream a reality. 4/5 Great cast for a seemingly sad story, Marco Beltrami entertains us for a very short time.